The Public Servants Prayer Ministry sponsors a "Women's Statehouse Day" for prayer. Peggy was the 2018 keynote speaker. Red Kettle Picture: Peggy and her son David had a great time again participating in the Bloomington Salvation Army Red Kettle Kick Off! November 2016. Credit to Herald Times, Jonathan Streetman. Peggy assisted her boss and friend, Lt. 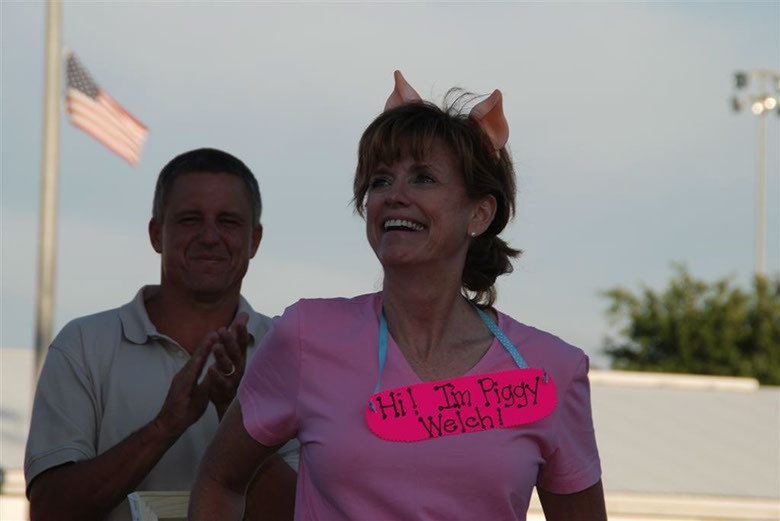 Governor Sue Ellspermann, at the 2015 Indiana State Fair Dairy Bar. 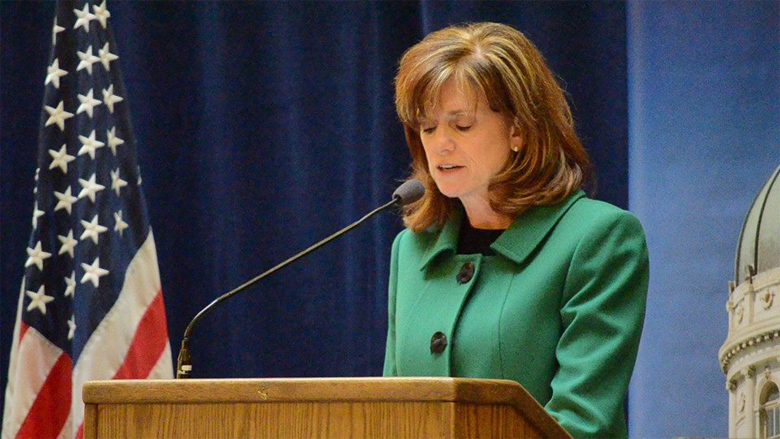 Welch had the privilege of praying at the 10th Annual Indiana Statehouse Prayer Service. 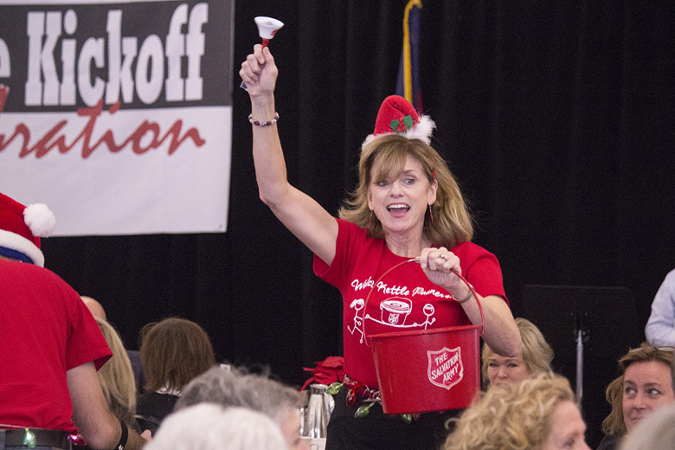 Angela Parker and Peggy Welch were the Kettle Klimbers for the 2013 Bloomington Salvation Army Red Kettle Kickoff. The Kettle Klimbers were recognized for raising the most money online before the kickoff event and for raising the most money for the kickoff. 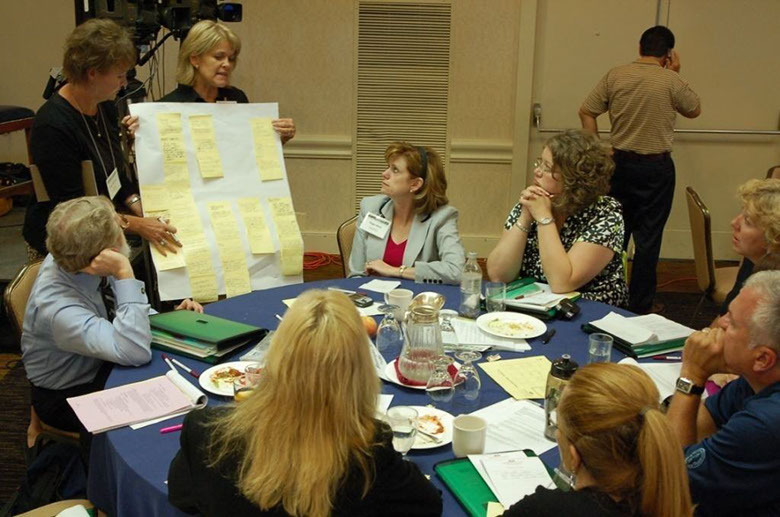 Peggy is a member of the Health Information Management Services Society (HIMSS). 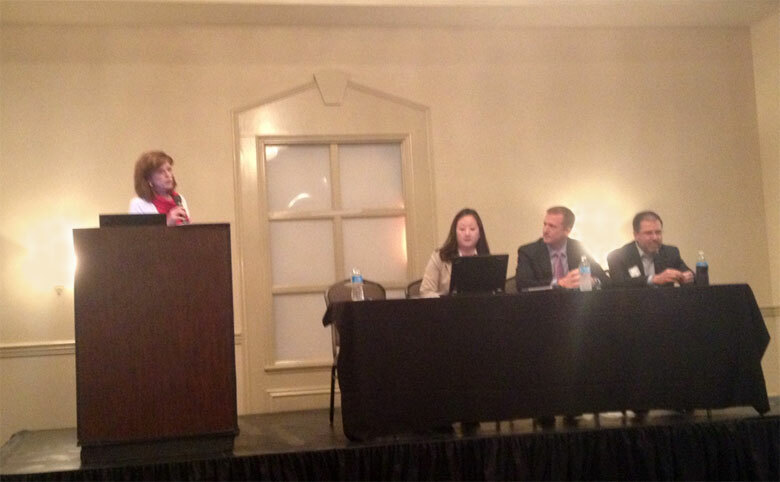 At the 2013 Indiana HIMSS conference, Peggy moderated a panel regarding medical devices and health information technology. Ivy Tech Bloomington and the Center for Life Sciences is a part of a 14 community college consortium to develop a national core curriculum for life science/advance manufacturing. 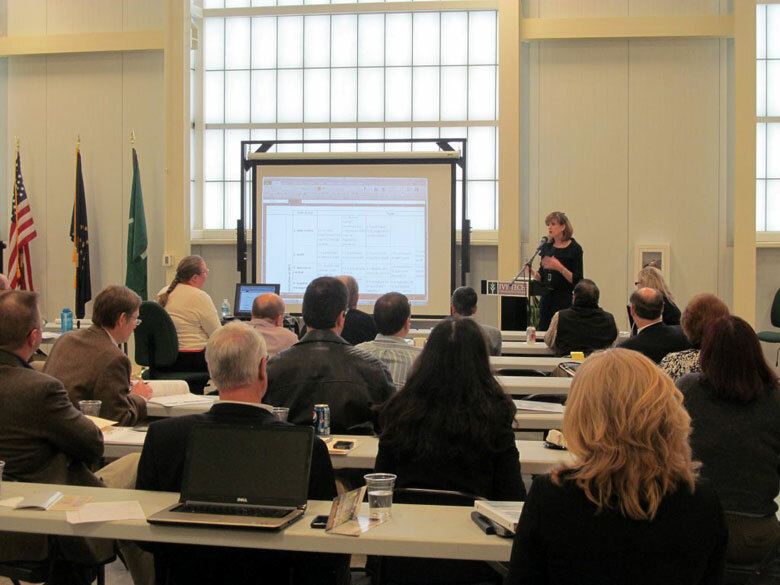 Peggy had the honor of participating in a gathering of academic and industry leaders regarding the curriculum for medical device manufacturing. 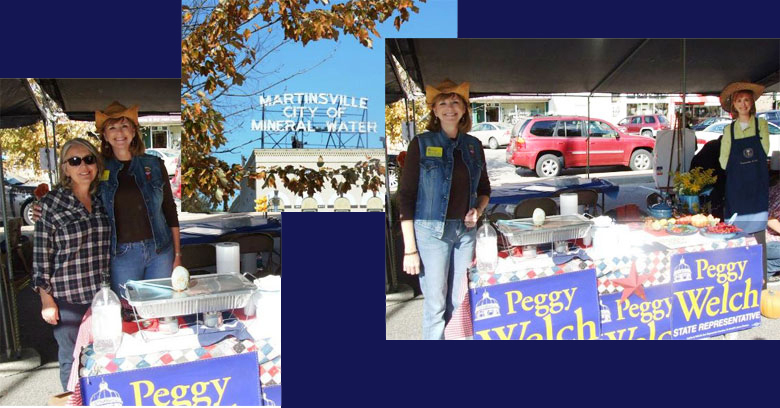 Peggy participated in the Martinsville Dancing with the Hometown Celebrities, a Fall Foliage Festival fundraiser. 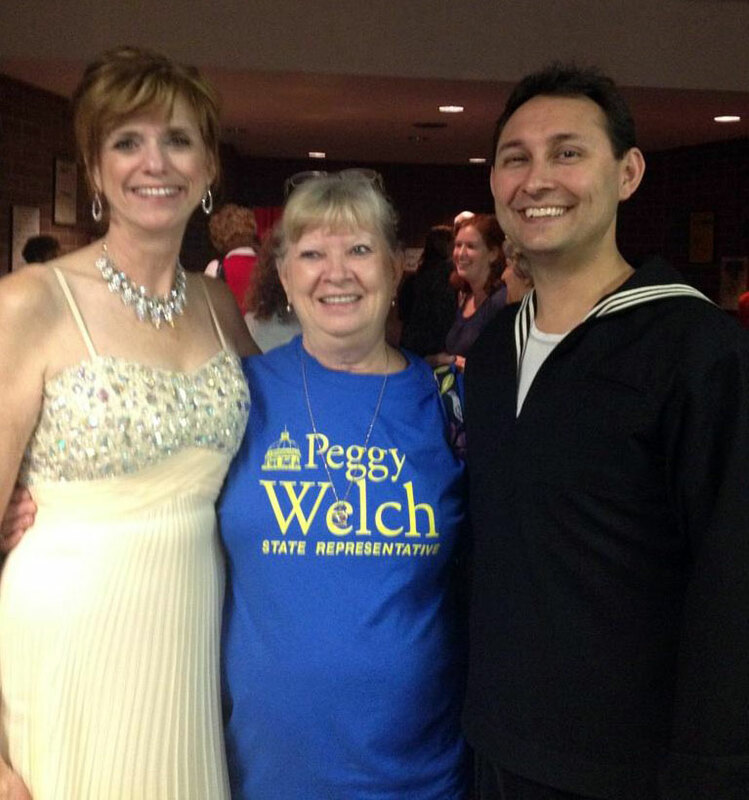 Peggy is pictured with Arthur Murray instructor Matt Brand and a Welch volunteer. Peggy at Martinsville High School to talk with students about their state government. 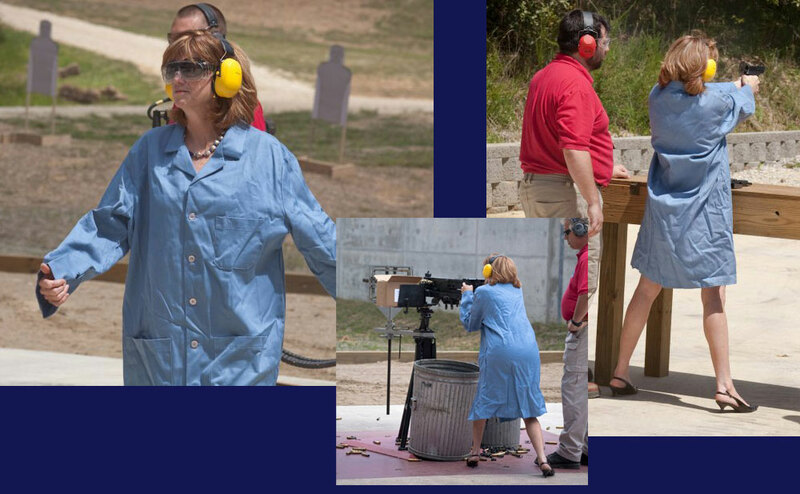 Peggy loves going to Crane Naval Surface Warfare for many reasons, but especially when they invite her to try out some of their special op weapons. Governor Daniels had bill signing ceremonies for two historic bills on which Peggy actively worked: the public smoke-free (smoking ban) bill and the inheritance tax phase-out bill. 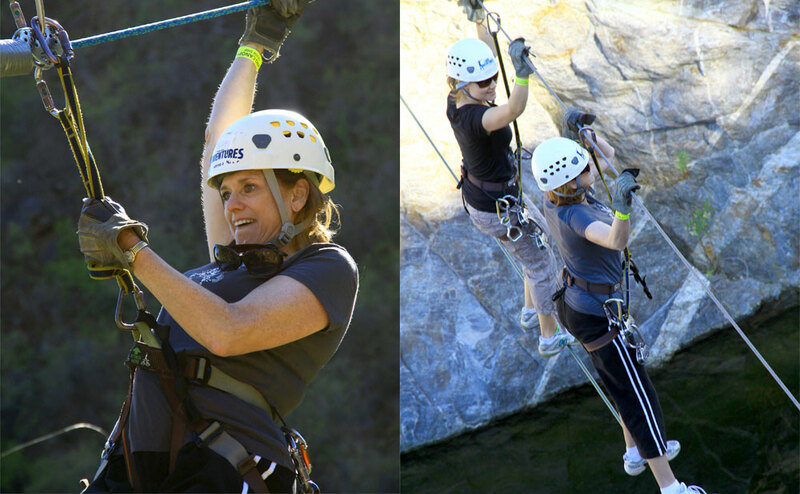 Peggy is always up for an adventure, so she took advantage of an afternoon of zip-lining and repelling on a recent vacation with her husband. Peggy was very honored when she was presented The Nyland Public Policy Award. 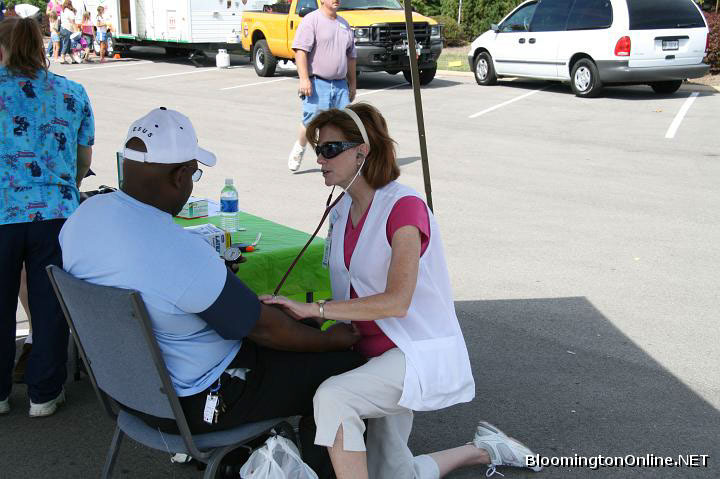 Peggy is a practicing nurse at IU Health Bloomington Hospital. The Award is given to an ISNA member for outstanding contributions to the development and implementation of health-related policy at the local, state, and/or national level and for significantly influencing policy and legislation that positively affects the health and well-being of citizens and the practice of professional nursing. Secretary of the Navy Ray Mabus visited Crane Naval Surface Warfare base to see first-hand the multiple essential contributions Crane employees make for the "war-fighter" and the "peace-keeper". 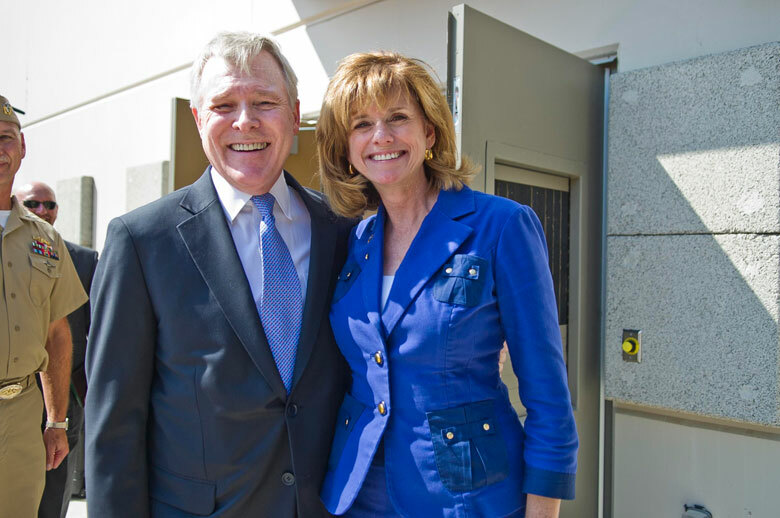 Peggy has known Secretary Mabus since their younger days on Capitol Hill. She was grateful to be of assistance in bringing the Secretary to Crane. 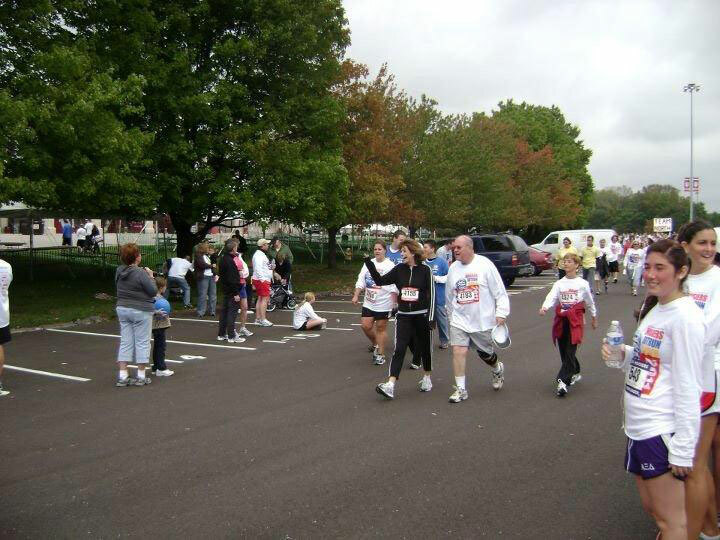 Peggy and David participated in the 2011 Hoosiers Outrun Cancer run/walk. As a IU Health Bloomington Hospital cancer nurse, Peggy appreciates all the volunteers and participants who helped to raise support for cancer services. 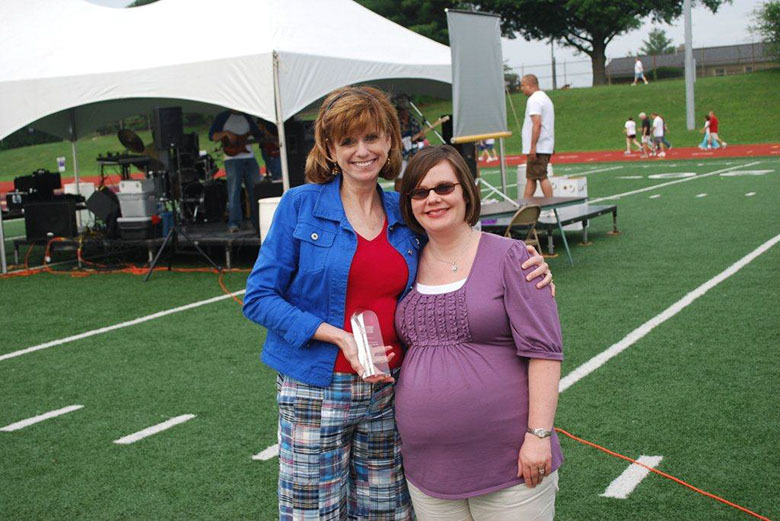 Peggy participated in the 1st Annual Greater Martinsville Chamber of Commerce Chalk Art Contest & Chili Cook-Off. 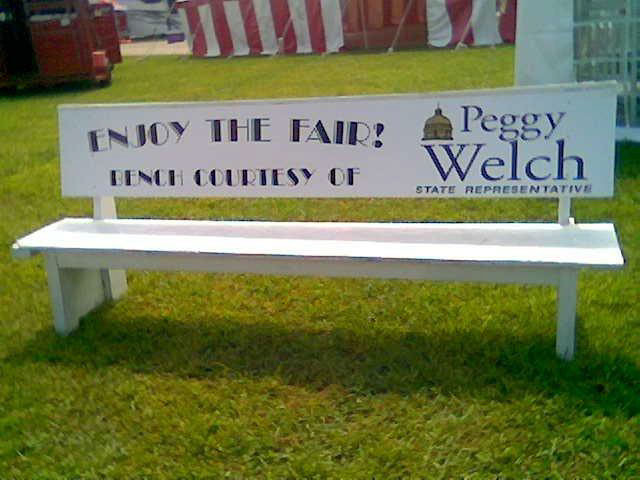 Each May the Monroe County Farm Bureau sponsors the Peden Farm Days. 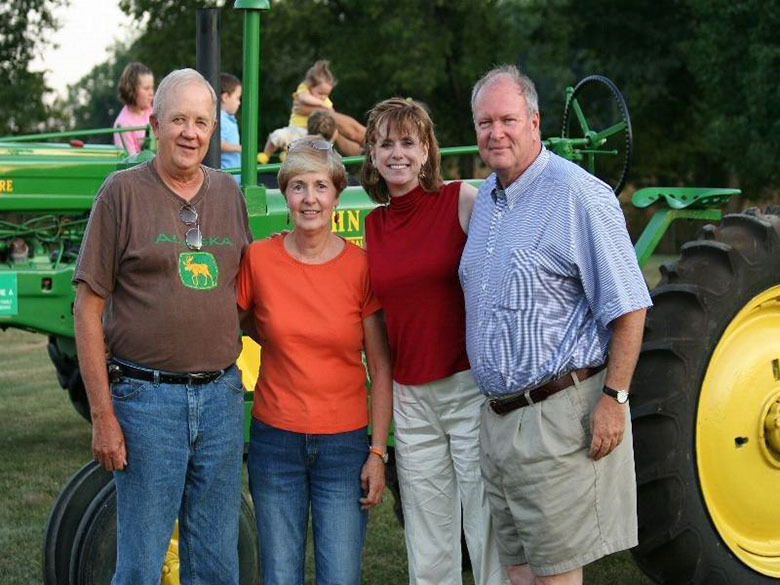 Joe and Joyce Peden graciously open their working farm to thousands of children and adults to learn about animals, food, and land conservation. 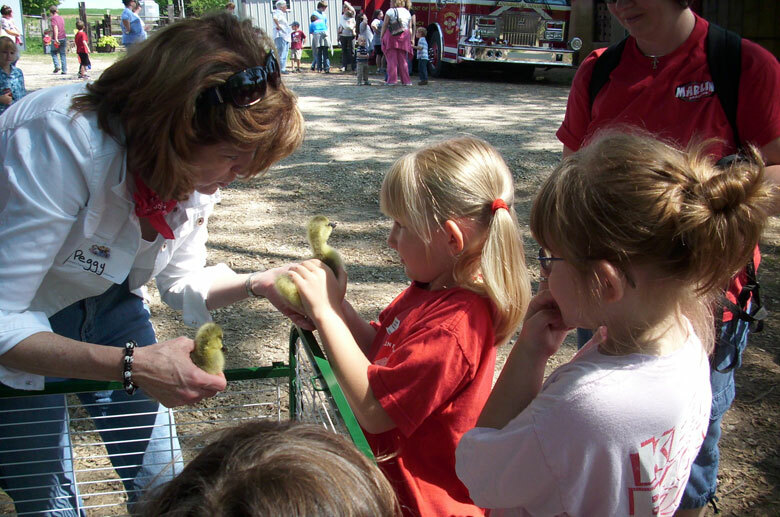 Peggy is a Farm Bureau member and volunteering at the Peden Farm Days is a highlight for her each spring. 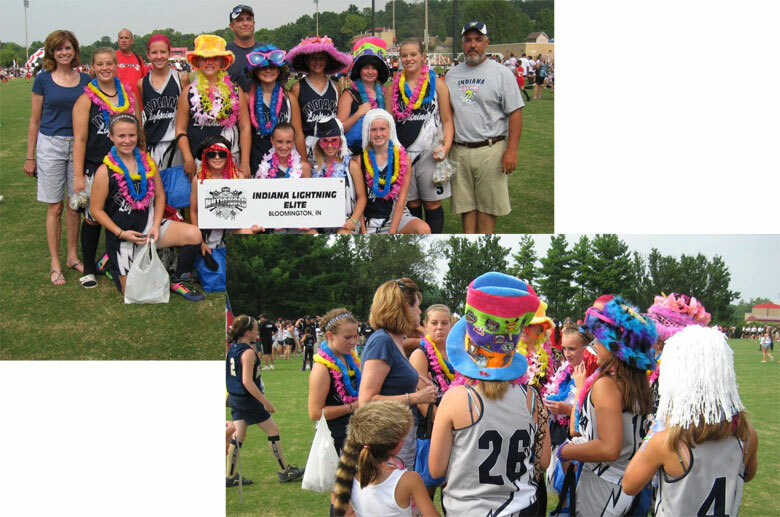 The 2010 Softball National Tournament for 11-12 year old girls was held in Bloomington. The Bloomington team, the Indiana Lightning Elite, was among 102 teams from across the country. Peggy had the privilege of joining the Lightning Elite team for the opening ceremonies and tossing out the opening pitch from a hot air balloon. POWER is the Indiana General Assembly women’s caucus. POWER raises money for scholarships for non-traditional female students. One of the generous donations was a skydiving adventure. 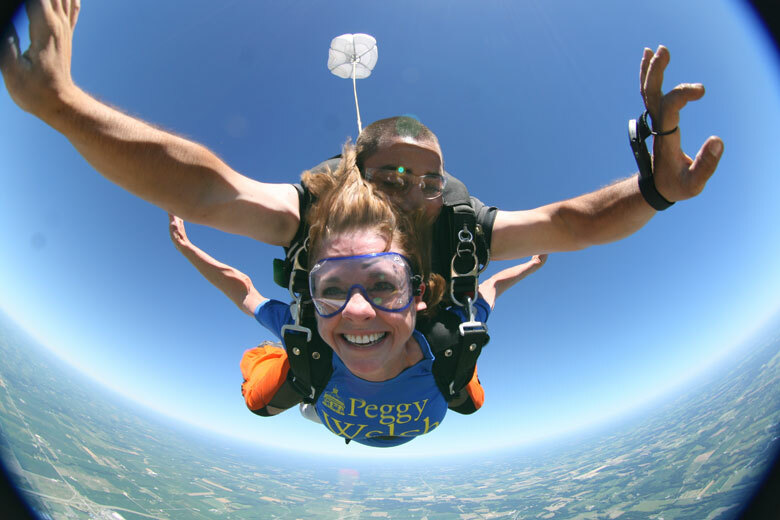 The purchaser of the package donated the jump back to POWER to use to raise additional funds if Peggy would be the one to jump. She immediately accepted the challenge and loved it! A video of the jump can be seen on her Facebook Fan Page. 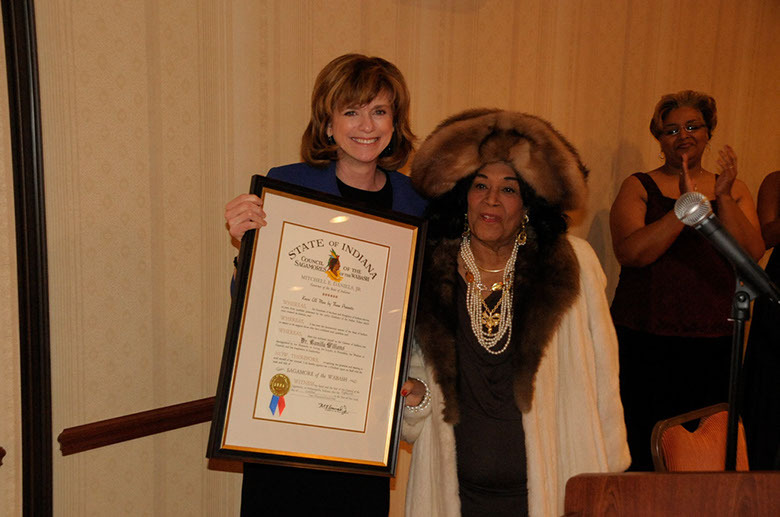 During the 5th Annual City of Bloomington Black History Gala, Peggy had the honor of presenting to international opera star Camilla Williams the Sagamore of the Wabash. 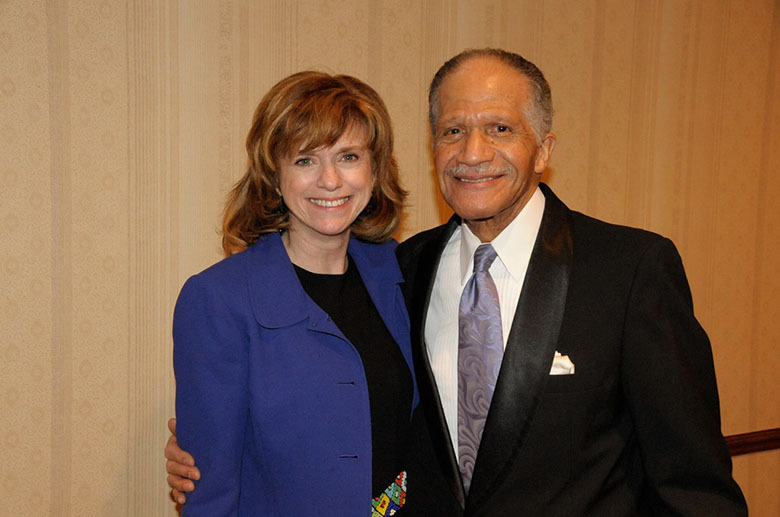 During the 5th Annual City of Bloomington Black History Gala, Peggy visited with the 2010 Bloomington Black History Living Legend Reverend Marvin Chandler. 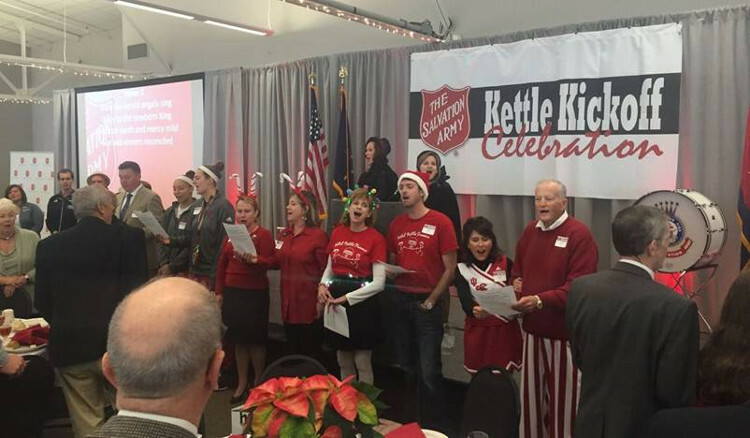 The Bloomington Salvation Army has an annual fundraiser to kick-off the Christmas kettle fundraiser. Peggy has been a participant each year of the fundraiser. 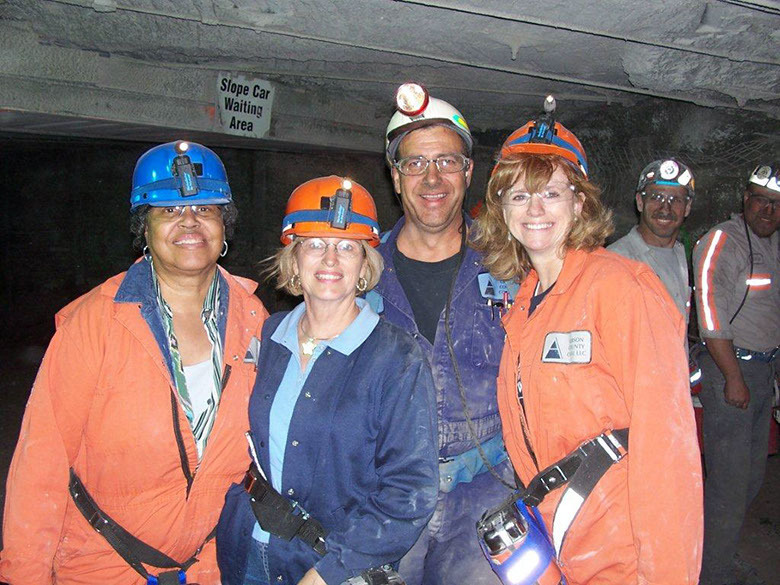 Serving in the Legislature has afforded Peggy a variety of experiences, such as going down into a coal mine in southern Indiana. 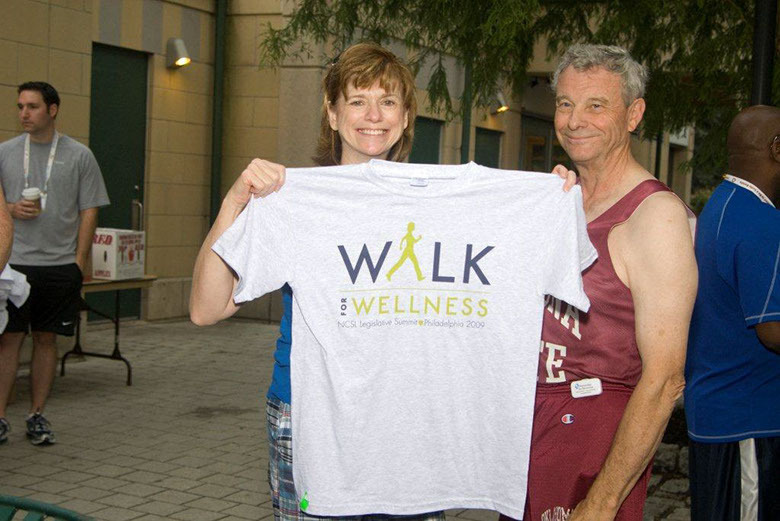 For the past several years, Peggy has been a speaker at the early morning Wellness Walk at the annual meeting of the National Conference of State Legislatures. 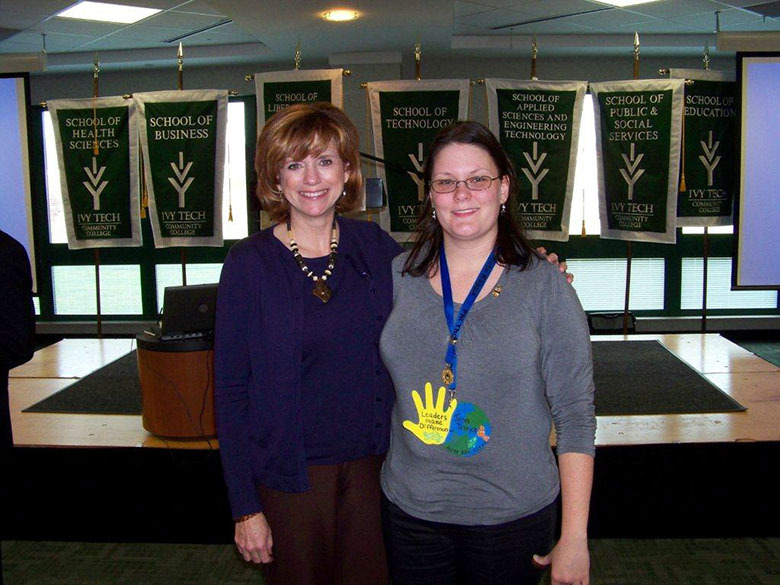 Peggy is an Ivy Tech graduate and a member of Phi Theta Kappa, the honorary scholastic society. 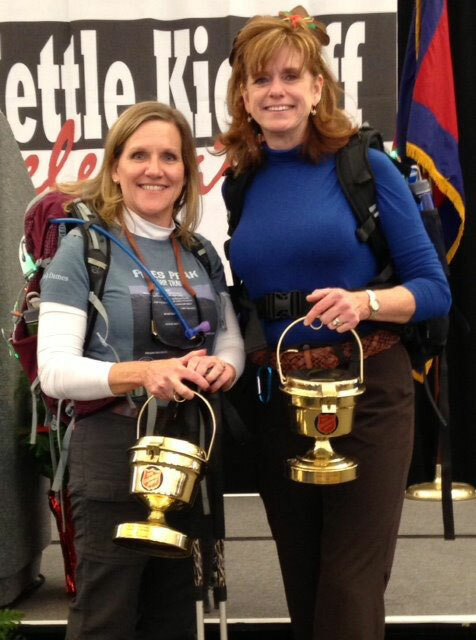 Peggy is pictured with Jennifer Tetrick after speaking to a regional meeting of Phi Theta Kappa chapters. 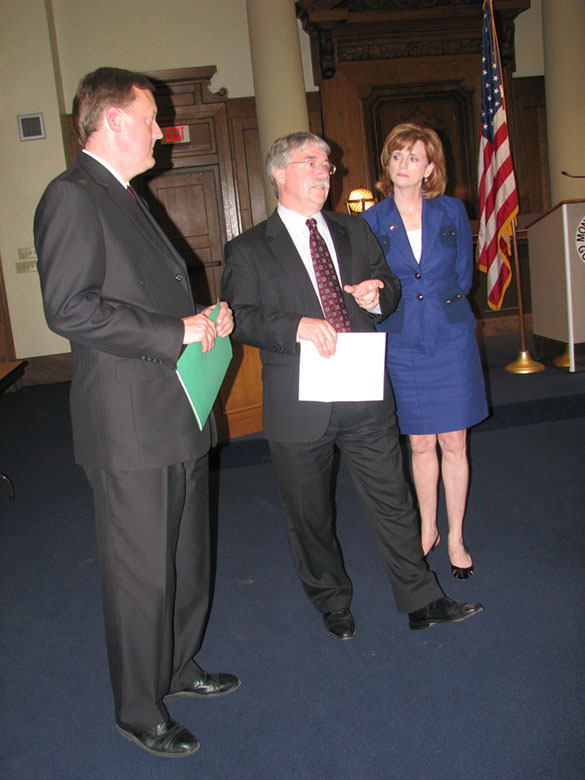 Peggy met in a press conference at the Monroe County Courthouse with Indiana Attorney General Greg Zoeller and State Representative Eric Koch to review the 2010 legislative session. Jon Pinney approached Peggy several years ago about the possibility of an Indiana public cord blood bank. In 2008, the Legislature passed a law that provides for a the development of an Indiana Public Umbilical Cord Blood Bank. Pictured with Governor Daniels and Peggy are Jon, Nikki, and Kasey Pinney. Peggy was invited to the Comcast Cares Day. Comcast employees spent a Saturday at the Hoosier Hills Food Bank doing various jobs to assist the work of the Food Bank. 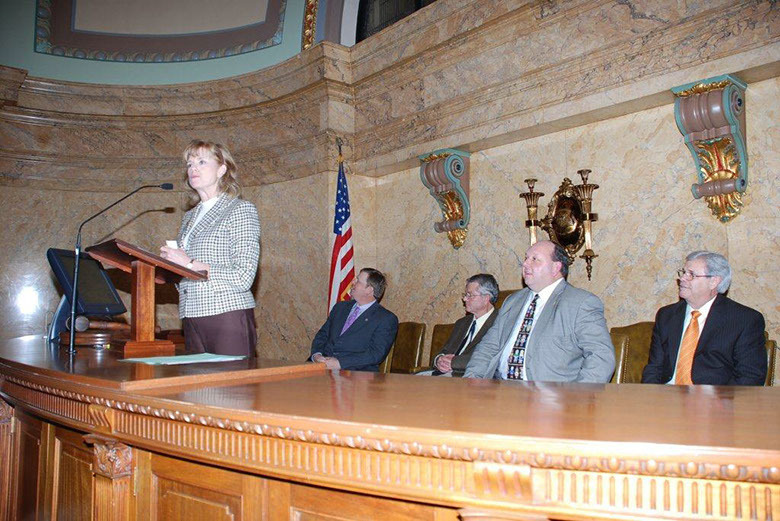 Peggy felt honored to address the Mississippi House of Representatives during a visit with family. 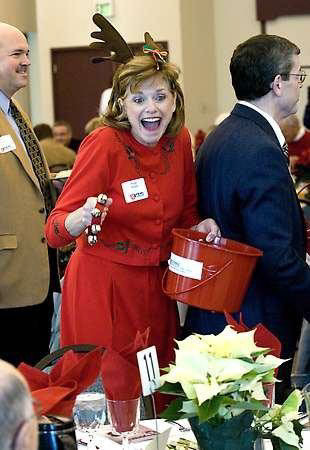 Peggy is not afraid to be silly for a good cause such as a fundraiser for Boys and Girls Club. 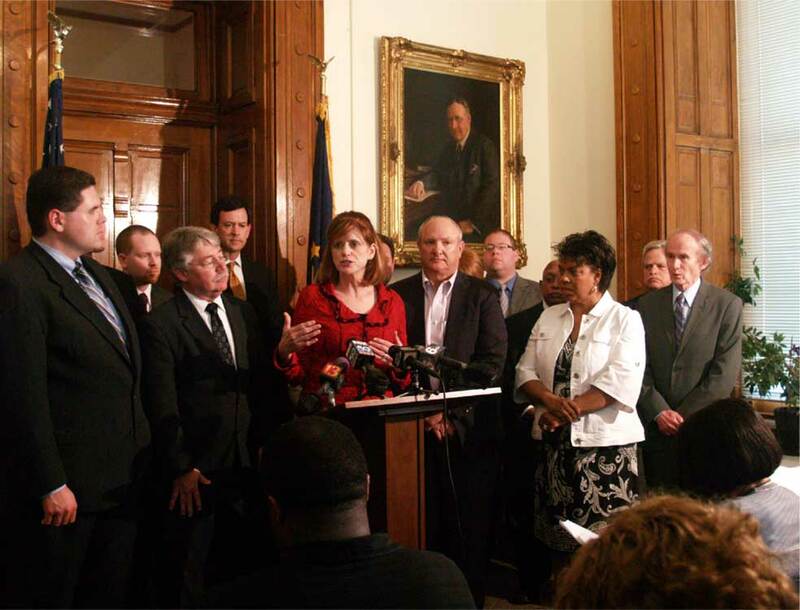 Peggy is a member of the advisory board for the Indiana Department of Corrections PLUS Program. The PLUS Program is the faith and character based program for DOC inmates. 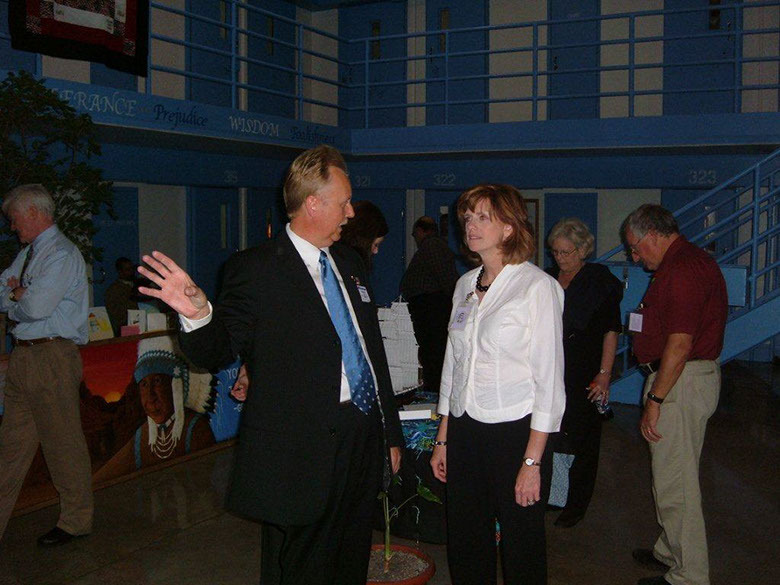 Pictured with Peggy is the Superintendent of the Wabash Valley Correctional facility. 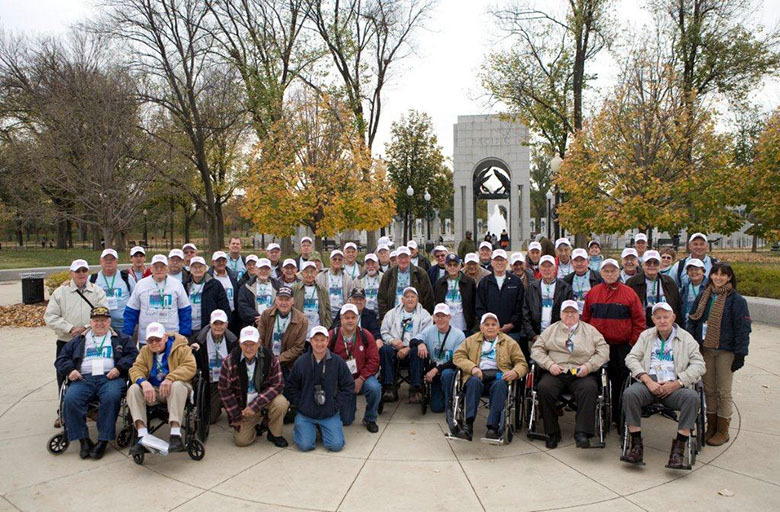 Peggy had the privilege of accompanying WWII veterans on the first and last Hoosier Honor Flight to Washington, DC. 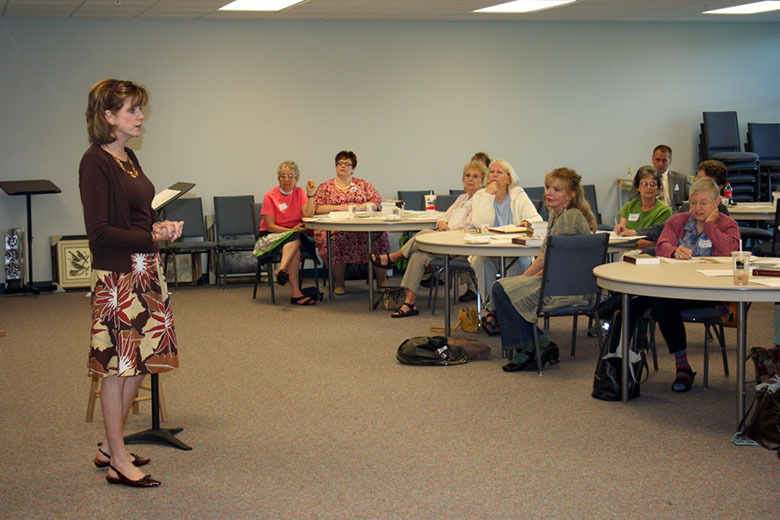 Peggy was a speaker at a seminar for parish nurses. 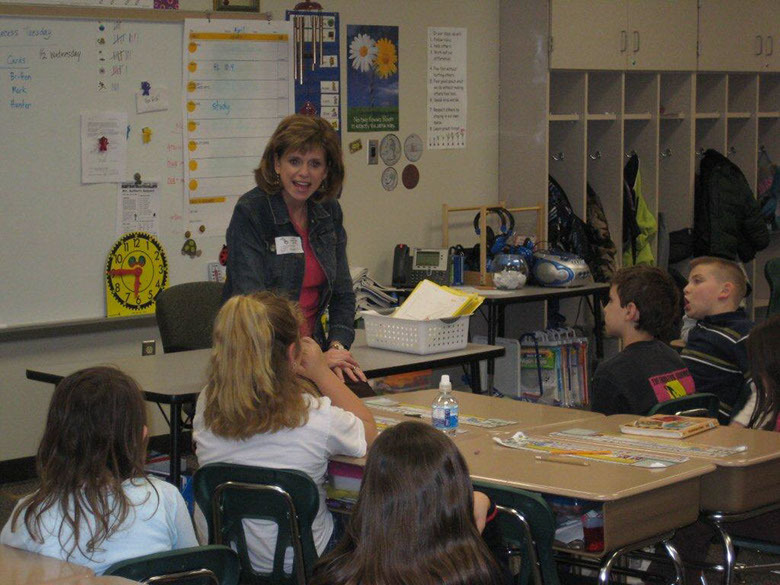 Peggy loves spending time in classrooms so she can better understand educational issues and to make government personal for the students. 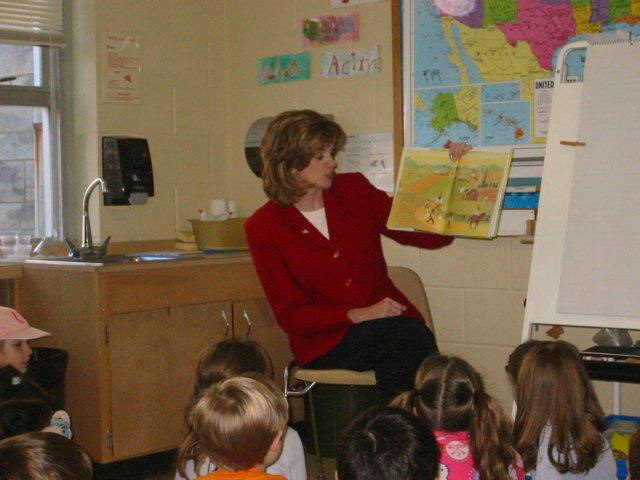 Peggy loves spending time in classrooms helping students learn how their government works. 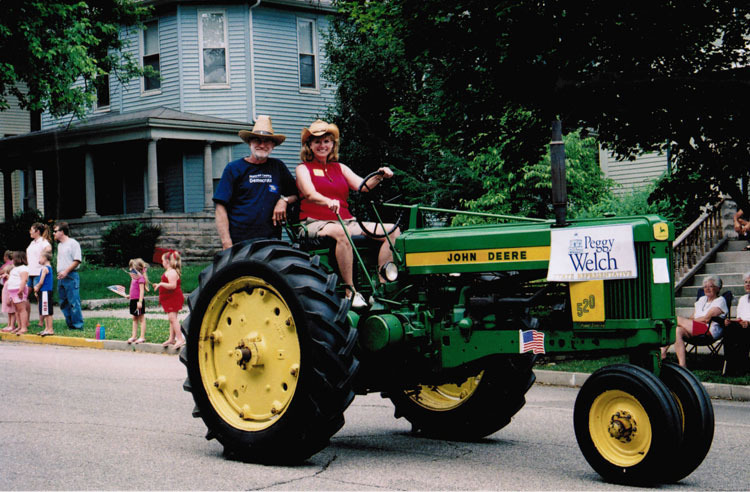 One of Peggy"s favorite things to do at the Monroe County Fair is to participate in the Tractor Parade. 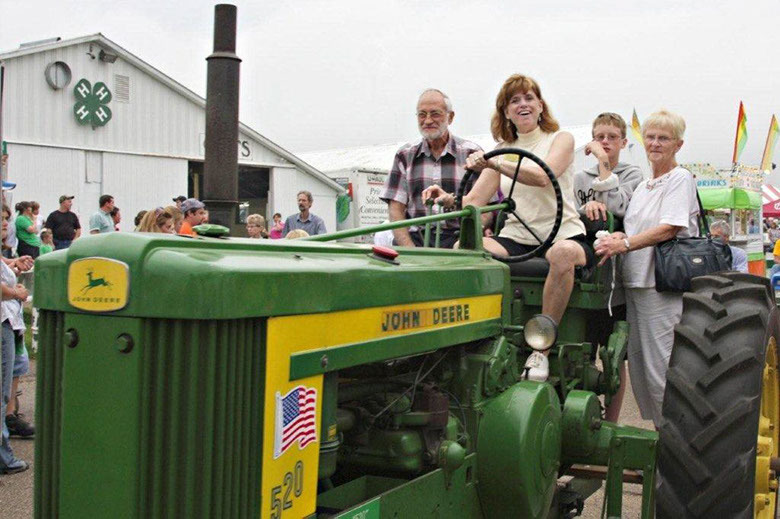 Kenny and Joann Grubb are always generous to let Peggy drive one of their tractors. 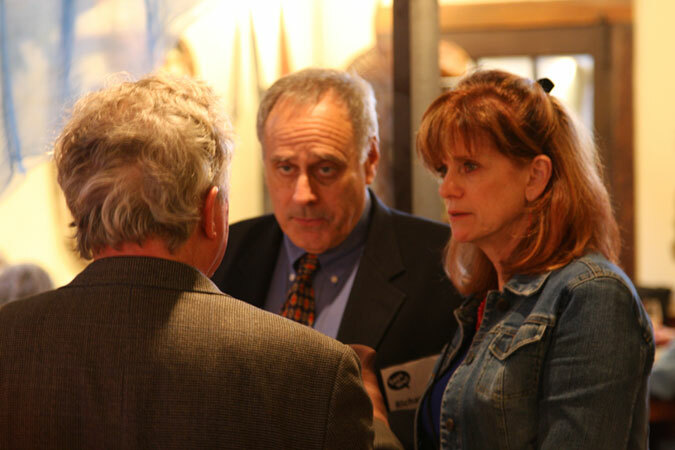 Peggy and David are pictured with Joyce and Joe Peden. Joe is the President of the Monroe County Farm Bureau. Peggy is a member of the local advisory board for the Centers for Disease Control and Prevention and the YMCAs of the USA initiative to promote healthy living in communities. Bloomington was one of 46 communities in the US and the only one in Indiana to be selected as a grant recipient. The advisory team, led by Bloomington Parks and Recreation and YMCA employees, met in Alexandria, VA for training with other grant communities. Peggy has had a variety of careers. Here she was the Monroe County Community Corrections Program Director in the early 1980s. 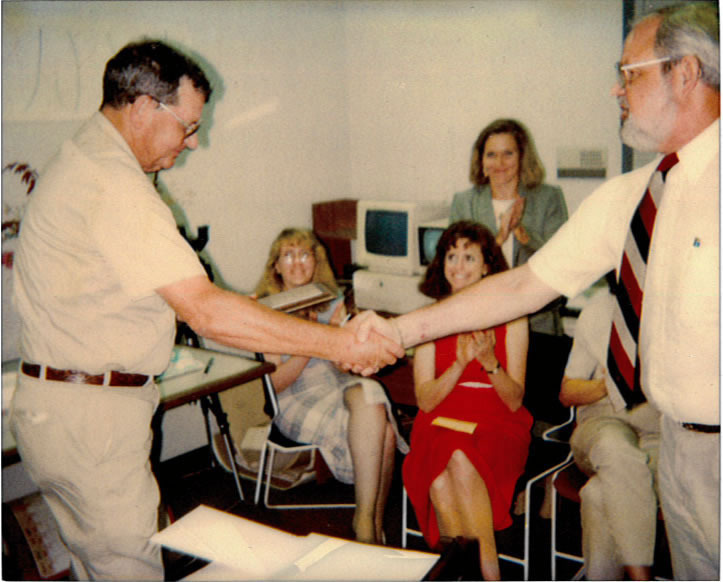 Clifford "Babe" Thrasher was receiving an award from Judge Randy Bridges. Watching with Peggy are Linda Brady and Angela Parker. 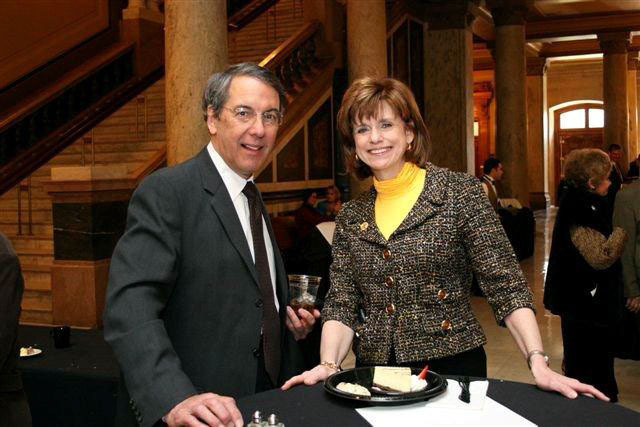 Peggy with the Ivy Tech Community College President Tom Snyder. 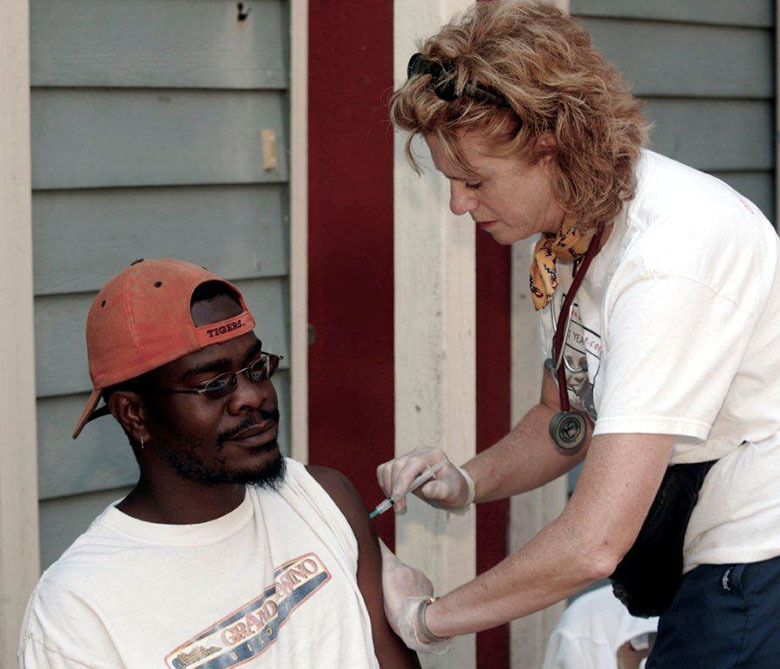 Hurricane Katrina took Peggy to her home state of Mississippi to bring healing and comfort. Peggy enjoys using her nursing skills in the community. Peggy had the privilege to nominate Highland Elementary School to be a recipient of gifts from MDWise. MDWise gave to each student a backpack filled with school supplies and to the school a check for $10,000. The money was used to buy playground equipment. Peggy loves to have visits from constituents. These are friends who visited from Stone Belt. Peggy joined with her colleagues to honor the author, director, and cast of “Wilderness Plots”. 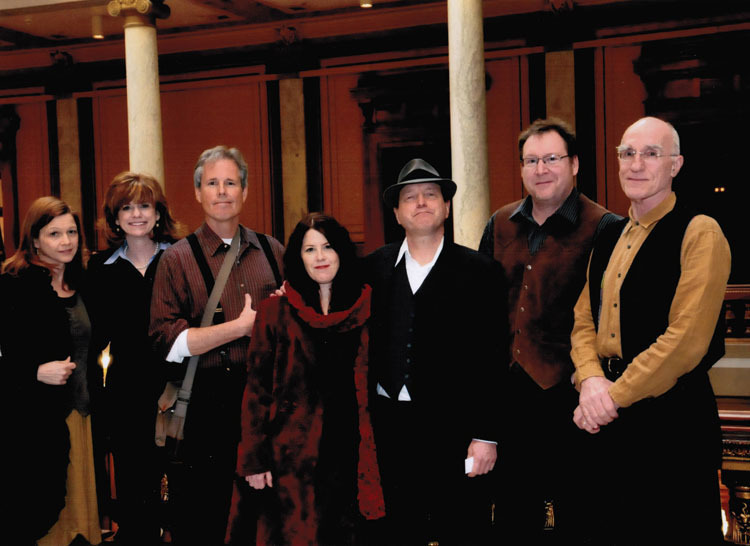 From left to right: Carrie Newcomer, Peggy Welch, Michael White, Krista Detor, Tom Roznowski, Tim Grimm, and Scott Russell Sanders. Peggy loves doing mission trips. 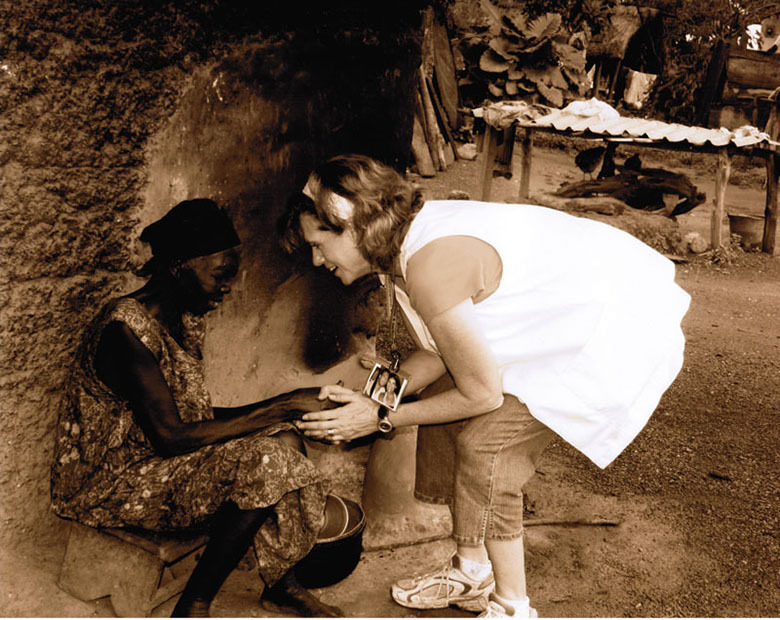 Here she is visiting a woman in a village in Ghana on a medical mission trip. Peggy also loves to hike. 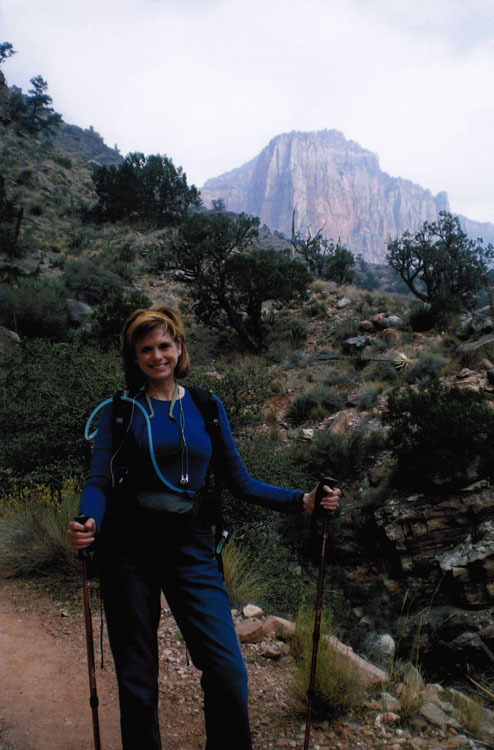 Here she is on one of her trips to the Grand Canyon. Peggy was honored to be named the inaugural recipient of the Great Lakes American Cancer Society Excalibur Award for her continuing legislative efforts on behalf of cancer patients. 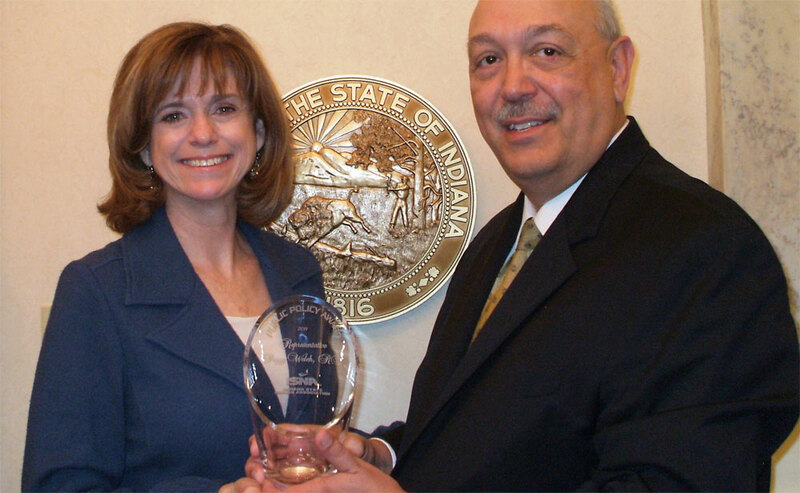 Peggy was the sponsor of SB 16, a law which minimizes distraction and increases experience for Indiana’s young drivers. 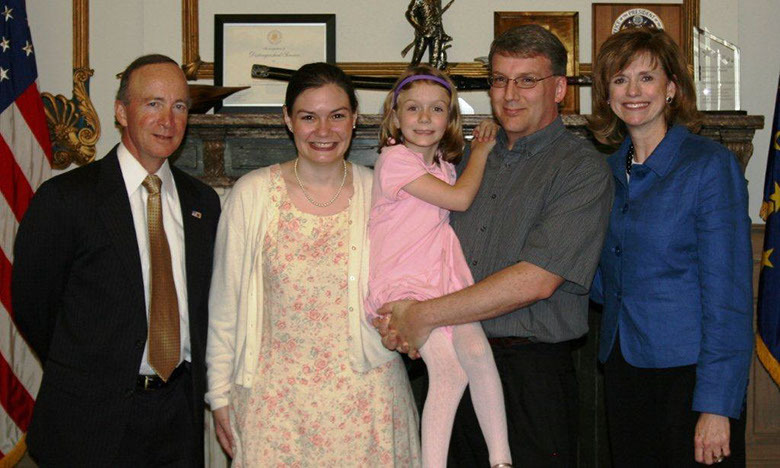 Peggy is pictured with Governor Daniels and the family of a young girl who was killed by a teen who was distracted while driving. They were in the Governor’s office for a ceremonial bill signing of the bill. 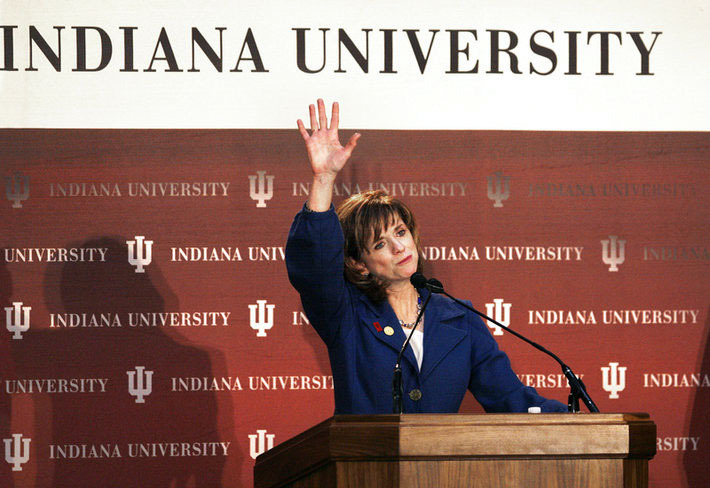 Rep. Peggy Welch, D-Bloomington, waves goodbye after comments she made to an audience of about 400, primarily IU students and administrators from IU campuses across the state, at a 1 p.m. Indiana University rally in the north atrium of the Indiana Statehouse on Tuesday, February 2, 2010. (Charlie Nye / The Star). The United States State Department and the National Conference of State Legislators sponsored an exchange program for South African provisional legislators and U.S. state legislators. 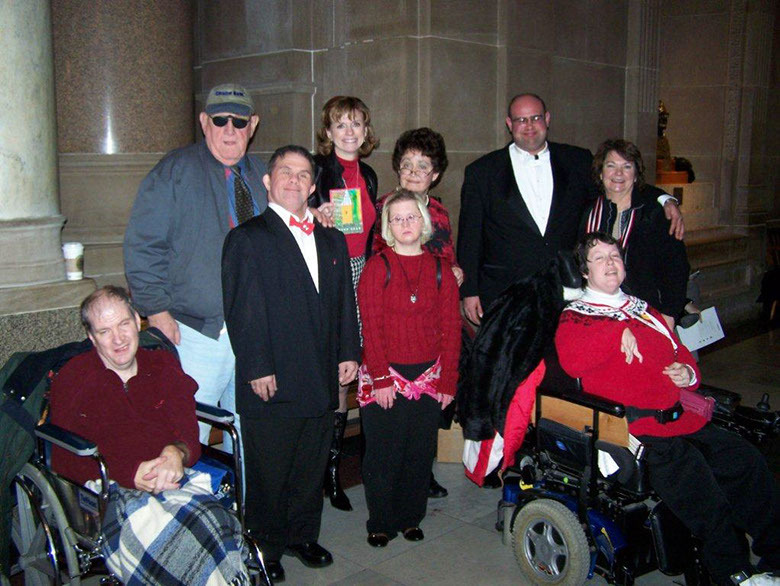 Peggy had the honor of being one of the ten legislators from around the country. 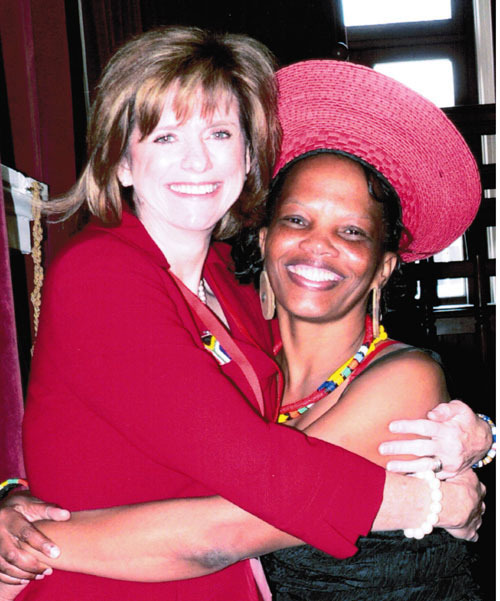 Here Peggy is pictured with one of the provisional legislators from KwaZulu-Natal (Durban) province. The parlimentarian is wearing traditional Zulu dress. The delegation traveled to three South African provinces. While in Gauteng, the group visited a shanty town in Soweto. Peggy was invited into the small shack of woman and her child. Officers of the National Conference of State Legislatures Women"s Legislative Network were invited to the White House for recognition of Women"s History Month. 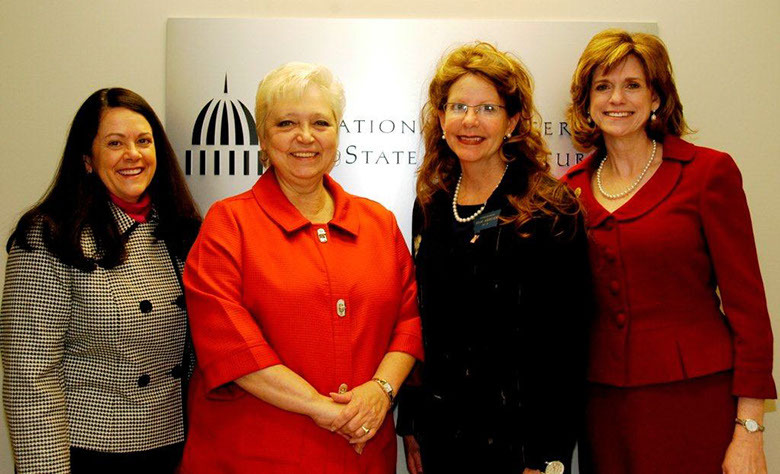 Seen with Peggy are (left to right): Rep Rosie Berger, (R) WY; Kathy McClain, (D) NV; Elsie Arntzen (R) MT.